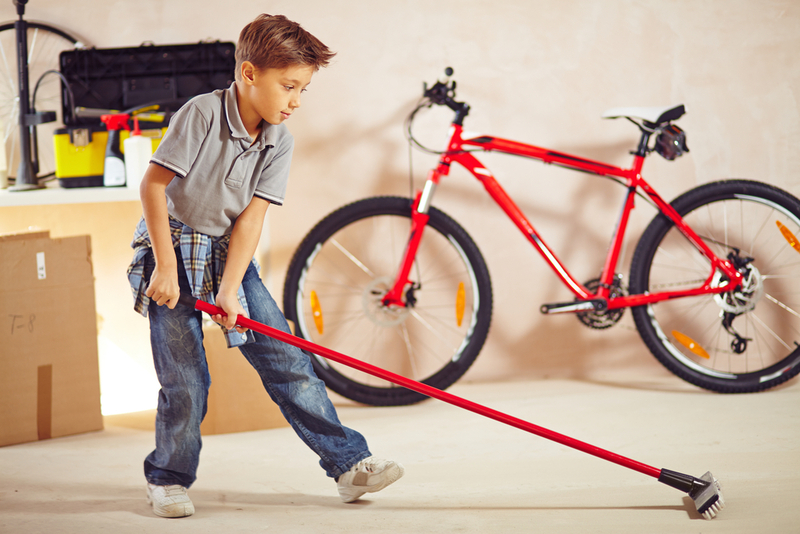 Caring for the garage is an important yet often neglected aspect of home maintenance. While most people care for and maintain the rest of the house, they usually fail to think of caring for and maintaining the garage, and all of the benefits doing so brings. In addition to increasing your home’s curb appeal, a well-maintained garage can help make your home more energy efficient and provide a valuable space for out-of-the-ordinary projects, like woodworking, music making or other creative endeavors. Garage care isn’t complicated, expensive or much of a hassle, especially when done regularly. If you make time for some light garage maintenance, you will thank yourself later when you catch small issues like a crack in the foundation or a failing garage door before they become serious and turn into a costly inconvenience. Here are a few simple things you can do to keep your garage in tip-top shape. Great in theory, difficult in practice, keeping your garage organized and clean is the first step to garage maintenance. If your garage is tidy, fixing other problems becomes a breeze, because you will have plenty of room to work on the issues. Everybody has their own methods of organization, but it’s important that you pick one and stick to it. Once you get into the habit of neglecting your garage’s cleanliness, it won’t be long before you realize you have so much stuff lying around that you can hardly walk from one side to the other, let alone park your car in it or use the space for a creative project. Because garage floors are usually made of large concrete slabs and the temperature inside garages fluctuates greatly depending on the season, the floors are likely to crack as they expand and contract with the weather. Cracked garage floors are easiest to fix as soon as they happen because the cracks are small and shallow. If left unchecked, they will get bigger, which brings with it a variety of problems. All this step entails is to seal all of the small cracks in your doors and windows so that less cold air blows into the garage. This will help regulate the temperature inside the garage, which will make it more comfortable to be in, help prevent the floor from cracking, and reduce the chances of pests getting inside. Replacing the gasket on the bottom of the garage door, placing weatherstripping around any other doors and adding some extra caulking around the windows is all it will take to fix this problem.